• Wipe out 80% of your AP and supplier payment workload. 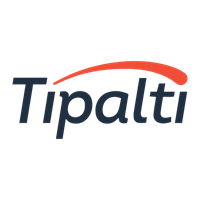 Tipalti cuts the manual work from your accounts payable processes, so you can focus on revenue growth and cash flow management instead of back-office financial operations. Tipalti provides the infrastructure that sets you up for long-term sustainability, so you’ll never have to implement another AP system. • Reduce tax, regulatory, and financial control risk. Built-in audit logs, OFAC & other sanctions screening before every payment is processed, signatory rights, robust workflow approvals, and digitized tax form collection and validation mitigate risk and fraud – and help ensure compliance. • Improve supplier relationships. Offer a broad range of global payment methods and currencies to improve payment accuracy and timeliness and enhance the supplier payment experience.